The Gracilaria Curtissae macro algae is beautiful red marine algae species. It features deep red branches which will form a symmetrical bush. Gracilaria species are slow growing and need a long time to attach themself. A great alga for the Marine Tank Display, where it will become surely fast a highlight and it might compete when it comes to the beauty of it with a lot of marine corals. This colour of the Gracilaria Curtissae algae will vary depending on the light its get. It will become darker when it gets less light, and brighter when it gets more light. Herbivore marine fishes love to nip on this macroalgae. 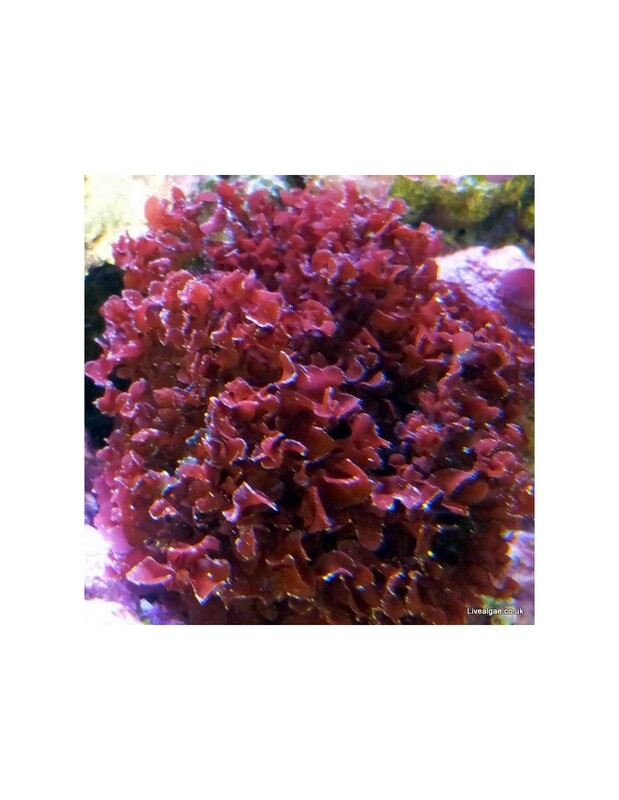 Therefore it will be better to keep this marine alga in a safe place, for example in the refugium, until you like to offer it as additional food to your fishes. As Gracilaria Curtissae won't easily attach itself it can be easily glued ( we use thick cyanoacrylate super glue ) to rock where you like to have it, or just place it in between your rockwork and it will attach itself after a few weeks. 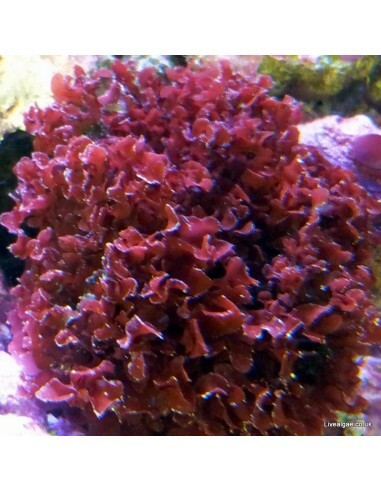 Like for most marine macroalgae a higher level of Nitrate and Phosphate, in addition to the supplement of Iron, Magnesium and Trace elements will improve the growth of this macro algae. Great customer service. Sorted out a little issue I had with a small part of my order very quickly. Arrived on time. Was well packed and was an excellent price. I just received this algae and really like it. It ads a nice colour to my tank. Received it attached to a plug very well protected. Recommended.